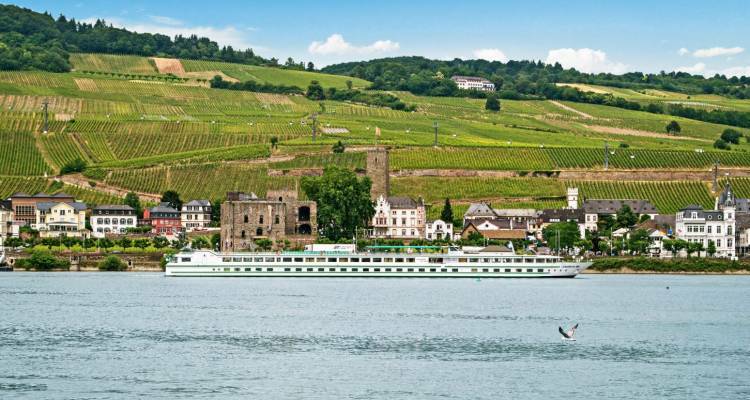 Sailing with CroisiEurope’s Léonard De Vinci is the best way to enjoy a Rhine river cruise. Originally built in 2003, but undergoing a complete transformation in 2011, the 2-deck ship is now able to host 144 passengers. With a length of 110 m and a width of 11.4 m, its 72 cabins offer a luxurious experience to every passenger.Top-class materials are used in combination with carefully picked wooden materials and subtle tones of beige and dark green to create a delightful visual experience for every passenger who crosses the apron of the ship.